Last fall at the American Association of Zoo Veterinarians conference, I had the pleasure of meeting Dr. Gregory Lewbart of North Carolina State University, who offered to provide support for a summer research project for me. 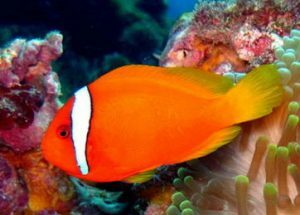 After reviewing current literature in the field, I generated the idea of establishing baseline blood work for clownfish. This image of a tomato clownfish is from Wikimedia Commons. Dr. Lewbart connected me with Dr. Roy Yanong of the University of Florida Tropical Aquaculture Laboratory and Dr. Nicole Stacy of the University of Florida College of Veterinary Medicine. A few weeks later, I developed a proposal for the project and sent it to my co-authors for review. After the proposal was finalized, my co-authors helped me get in touch with fish farms for the data collection portion of the project. The next few months, I began developing the protocol. My co-authors and I had a conference call to review the final details of the project before the data collection began. During the research collection, I monitored the water quality. In August, I flew down to central Florida for the data collection portion of the project. I met with Dr. Yanong and my undergraduate research assistant, Reilee Juhl, of North Carolina State University. Dr. Lewbart sent Reilee with all of the supplies. Reilee and I visited the farms to finalize details and to gain an idea of where to set-up our equipment. Reilee and I took inventory of the supplies and organized everything for day one of data collection. The next day we began data collection. (The photo at the top of the page shows me on the right, with Reilee.) 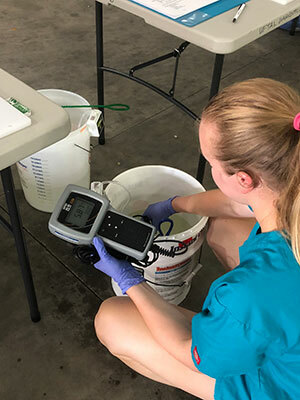 We took thorough and frequent water quality measurements before and during the data collection. We anesthetized the fish using buffered tricaine methanesulfonate before collecting data. Our data collection set-up involved three stations: Physical examination and morphometric data, venipuncture, and diagnostics. Dr. Yanong performed the physical exams, I performed the venipuncture, and Reilee performed the diagnostics (chemistries, lactate, packed cell volume, and total solids). Ultimately, we collected 25 tomato clownfish from day one. We used the same set up at a different farm the next day and collected data from 38 saddleback clownfish. After performing venipuncture, I made blood films for each fish. I then sent these films to Dr. Nicole Stacy for complete blood count data. 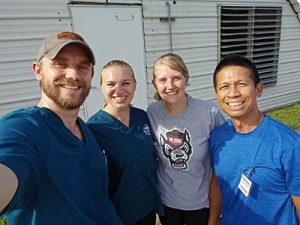 On the second day of data collection, I posed with Denver Coleman, veterinary student from the University of California Davis, Reilee Juhl, and Dr. Roy Yanong, University of Florida Tropical Aquaculture Laboratory. This fall, I have been analyzing the data that we collected, generating reference intervals for the various parameters based on guidelines established by the American Society of Veterinary Clinical Pathology. I hope to present the findings from this study at an upcoming conference and submit a manuscript of the work for publication in a peer-reviewed scientific journal. The project truly was a multi-institutional collaborative effort. In addition to my co-authors, I would like to thank Mr. Kent Passingham of North Carolina State University College of Veterinary Medicine, Denver Coleman of the University of California, Davis, School of Veterinary Medicine, Eric Wagner of Proaquatix, and Adam Heinrich of Oceans, Reefs, & Aquariums. 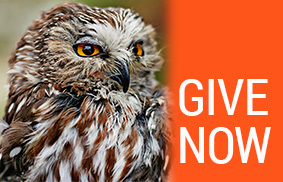 I would also like to thank the Robert J. Koller Endowment for Aquatic Animal Medicine and the International Association for Aquatic Animal Medicine Medway Scholarship Endowment for financial support of this project, and Dr. Michael O’Connor of Holy Family Veterinary Hospital for technical assistance. 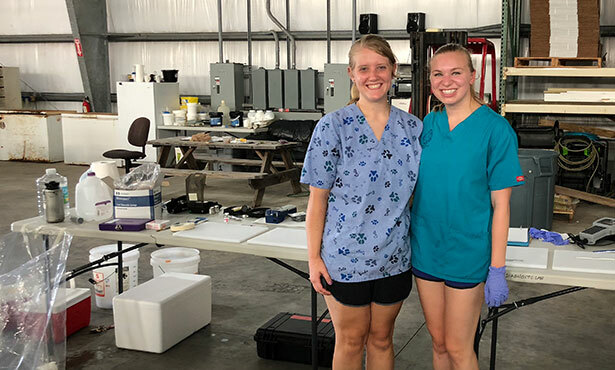 This project gave me practical experience with water quality, fish anesthesia, and fish venipuncture, and it allowed me to further develop my communication, organization, and scientific writing skills.